Is there a better alternative to Account Tracker? 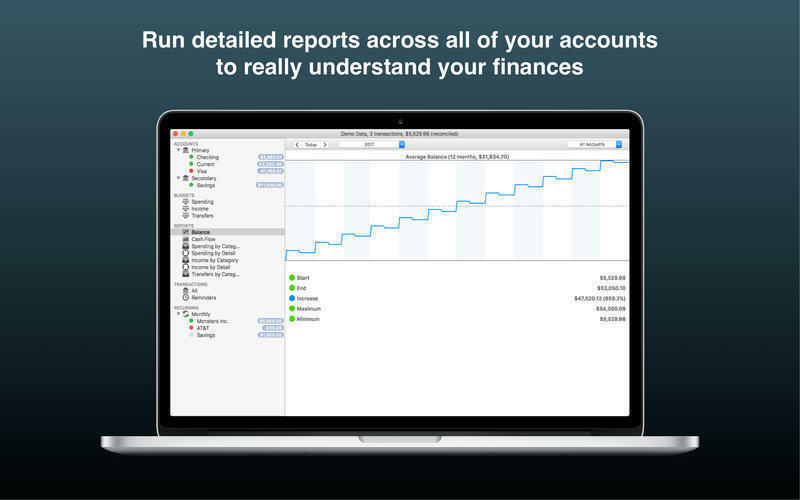 Is Account Tracker really the best app in Personal Finance category? Will Account Tracker work good on macOS 10.13.4? 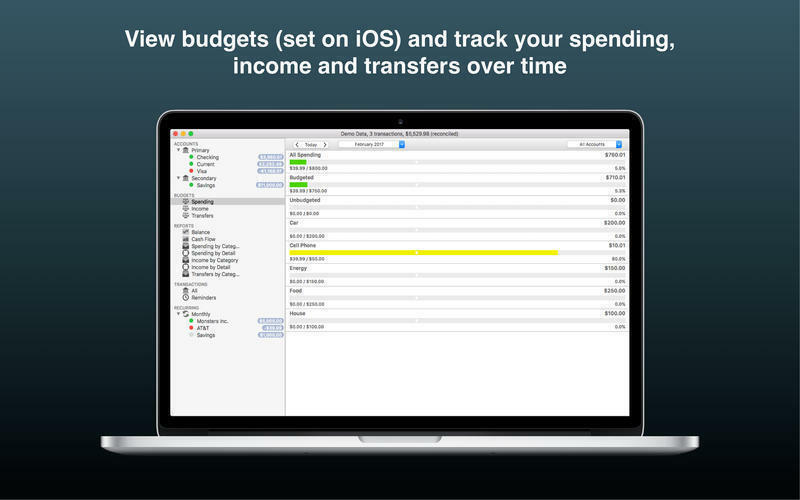 Account Tracker is a powerful personal finance app that helps you track spending and monitor balances across multiple accounts. 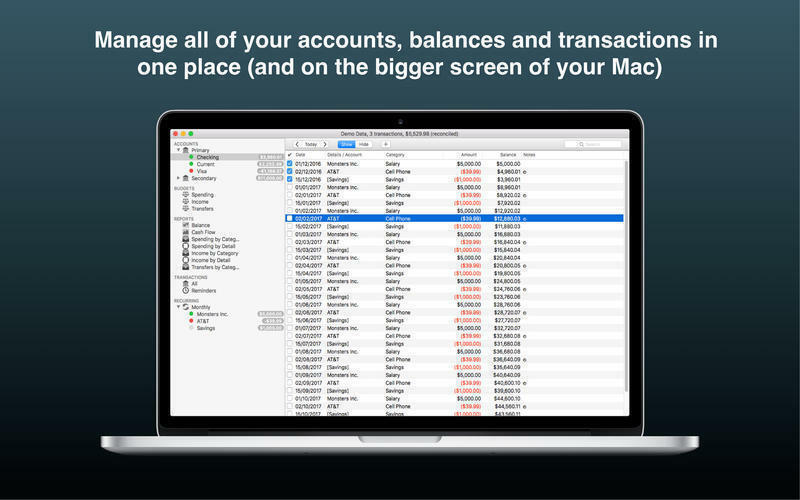 This companion Mac app supports two-way syncing with your iOS app (initially over iCloud), letting you view, edit and manage your data on the bigger screen of your Mac. You can also add and bulk edit transactions and easily reconcile your accounts. Changes are automatically synced back to your iOS devices on close. Minor bug fixes, including a crash that could happen shortly after the app is launched. Very few users would ever see this as it is very much a corner case (only 2 reported it). While passing I added an option to move a transaction to the next Monday (as well as today or tomorrow). Added the Indian rupee symbol. Account Tracker needs a review. Be the first to review this app and get the discussion started! Account Tracker needs a rating. Be the first to rate this app and get the discussion started!